Welcome to the Inn at Golden Gate, located on bustling Lombard Street in the charming Marina District in the beautiful city of San Francisco! Our friendly staff looks forward to providing you with a comfortable and relaxing stay while visiting the San Francisco Bay Area. Aptly named after The World Famous Golden Gate Bridge, which is just minutes from our doorstep, our guests can enjoy easy access to Downtown SF: Union Square, Chinatown, and the Marina District. Exploring San Francisco is easy with the many transportation services that pass through Lombard Street. Business travelers and family vacationers alike will enjoy prime access to the area's top companies and can't-miss attractions like the Golden Gate Bridge, Palace of Fine Arts, and Alcatraz Island. 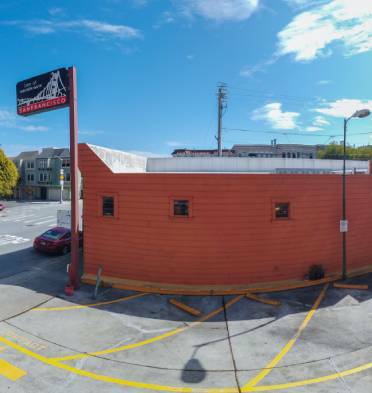 Just head toward downtown and explore for the day and head back to The Inn at Golden Gate for a comfortable stay. 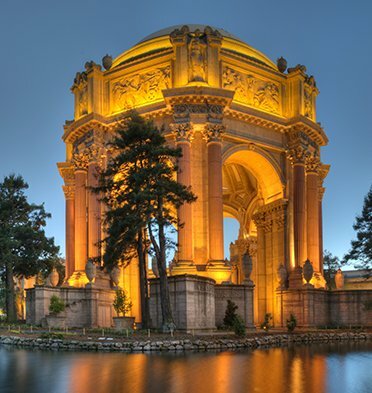 Our friendly staff intends to make your trip to San Francisco memorable, whether it is for business or leisure. Choose from a Standard Double/Double Bed room with two-full full sized beds which is perfect for families, or a Queen with a queen bed and a King Bed with a large, plush king sized bed. Each hotel room has a modern private bathroom equipped with complimentary toiletries. All of our guestrooms are ADA Defined service-animal friendly. Every guest room at Inn at Golden Gate is furnished with a work desk with power outlets and Free WiFi so you can connect and get your work done while on the road. 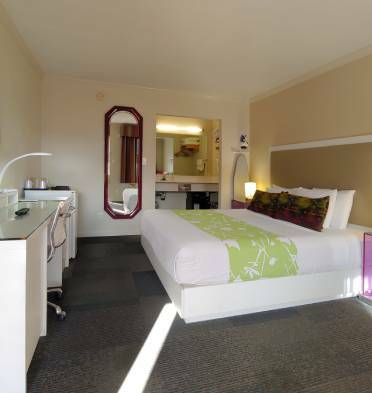 All of our spacious rooms feature modern amenities that include a radio/alarm clock, plush towels, flat screen LCD TV, a microwave and refrigerator, iron and ironing board. Whenever you travel, you should expect your hotel to provide the services and amenities necessary to feel at home wherever you are. The Inn at Golden Gate in the Marina District provides these homely necessities and more. Every morning, guests can enjoy our complimentary continental breakfast. Our Inn also provides complimentary Wi-Fi, in-room safe, on-site parking, air conditioned, accessible and Non-Smoking rooms. Our cozy San Francisco hotel awaits you and your family!